Looking for an Huntington Beach Ocean View rental home for lease in Huntington Beach? Huntington Beach has a limited number of ocean view properties due to the flat topography of the city. Many of the ocean view properties will be located on Coast Highway as pictured above that offers direct views of the sandy beach and Pacific Ocean. Many of the ocean view condos will also be located on this street and can offer views of the Huntington Beach Pier as well. It's important to keep in mind that the spring and summer months are considered high season and will also be the most expensive time to rent a home. The fall and winter months will be the cheapest time to rent a home but will have less inventory to choose from. 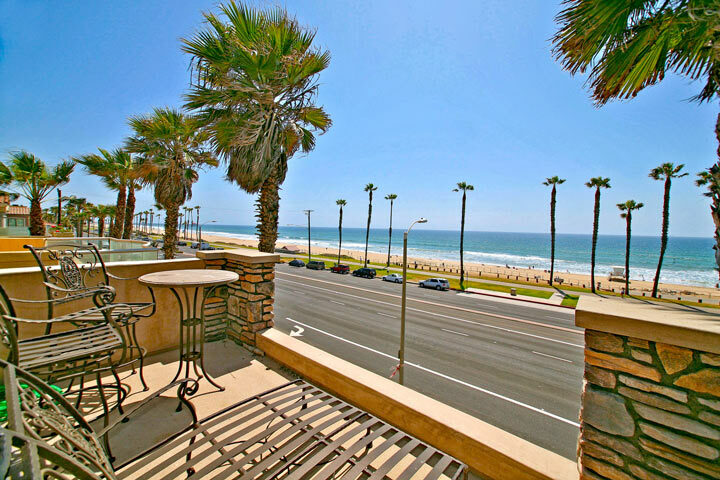 Below are the current ocean view rentals in Huntington Beach. Please contact us at 888-990-7111 with questions regarding any of the properties listed for lease here.